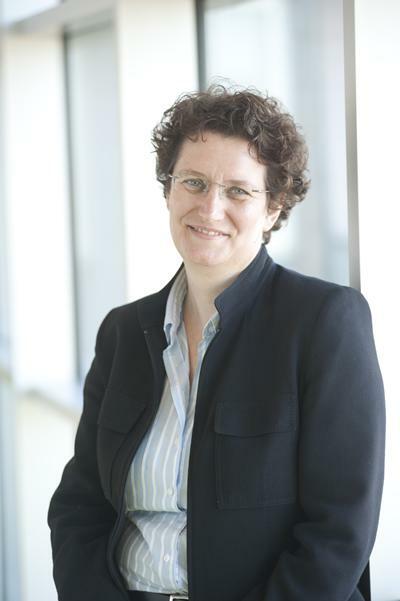 Professor Jane Falkingham is Dean of the Faculty of Social Sciences at the University of Southampton. Demographic change and its consequences for the distribution of social and economic welfare is a consistent theme throughout all my research. I am currently the Director of the ESRC Centre for Population Change, and President of the European Association of Population Studies (EAPS). Falkingham, J., Evandrou, M., Qin, M., & Vlachantoni, A. (Accepted/In press). Accumulated life-course adversities and depressive symptoms in later life among older men and women in England: A longitudinal study. Ageing & Society. Falkingham, J., Evandrou, M., Qin, M., & Vlachantoni, A. (Accepted/In press). Informal care provision across multiple generations in China. Ageing & Society. Qin, M., Padmadas, S., & Falkingham, J. (2017). Trends and determinants of contraceptive method choice in China. China Population and Development Studies, 1(1). Szabo, S., Padmadas, S., & Falkingham, J. (2016). Urbanisation and access to improved water sources: evidence from least developed countries. Global Policy, 14th May 2013, 1-11. Dieter, D., Berrington, A., Evandrou, M., & Falkingham, J. (2013). Who is living alone in mid-life and why does it matter? Longitudinal and Life Course Studies. Falkingham, J., & ESRC (2007). People of Britain opinion. Living longer: More time to work, rest and play? Britain Today, p.98. Falkingham, J. (2007). The impact of maternal health on poverty. Insights (Brighton), (11), 4-4. Falkingham, J., & Grundy, E. (2006). Healthy, wealthy and old? Nursing Older People, 8(9), 12-16. Balabanova, D. C., Falkingham, J., & McKee, M. (2003). Winners and losers: the expansion of health insurance coverage in Russia in the 1990s. American Journal of Public Health, 1293(12), 2124-2130. Evandrou, M., & Falkingham, J. (2002). Smoking behaviour and socio-economic status: a cohort analysis, 1974-1998. Health Statistics Quarterly, (14), 30-39. Evandrou, M., Falkingham, J., Rake, K., & Scott, A. (2001). The dynamics of living arrangements in later life: evidence from the British Household Panel Survey. Population Trends, 105, 37-44. Evandrou, M., & Falkingham, J. (2001). What future for the baby boomers in retirement? Insurance Trends, 31, 1-14. Falkingham, J. (2000). From security to uncertainty: The impact of economic change on child welfare in Central Asia. UNICEF Innocenti Research Centre. Innocenti Working Papers, (76). Evandrou, M., & Falkingham, J. (2000). Looking back to look forward: lessons from four birth cohorts for ageing in the 21st Century. Population Trends, 99, 27-36. Falkingham, J. (2000). The human cost of transition: a brief review of recent health trends in Central Asia. Eurohealth, 6(2), 43-47. Falkingham, J., & Rake, K. (1999). "Partnership in Pensions": delivering a secure retirement for women? Benefits, 26, 11-16. Falkingham, J. (1999). Measuring household welfare: problems and pitfalls with household surveys in Central Asia. MOCT-MOST: Economic Policy in Transitional Economies, 9(4), 379-393. Falkingham, J. (1998). Barriers to Access? The growth of private payments for health care in Kyrgyzstan. Eurohealth, 4(6), 68-71. Rake, K., & Falkingham, J. (1998). Orphans of the welfare state: does it make sense to reduce widows' benefits? New Economy, 5(4), 230-232. Gjonca, A., Wilson, C., & Falkingham, J. (1997). Paradoxes of health transition in Europe's poorest country: Albania 1950-90. Population and Development Review, 23(3), 585-609. McKee, M., Healy, J., Falkingham, J., McKee, M. (Ed. ), Healy, J. (Ed. ), & Falkingham, J. (Ed.) (2002). Health Care in Central Asia. (European Observatory on Health Systems and Policies Series). Buckingham, UK: Open University. Falkingham, J., & Namazie, C. (2002). Measuring health and poverty: a review of approaches to identifying the poor. London, UK: Department for International Development Health Systems Resource Centre. Falkingham, J., Klugman, J., Marnie, S., & Micklewright, J. (1997). Household welfare in Central Asia. Basingstoke, UK: MacMillan Press. Falkingham, J., & Hills, J. (1995). The dynamic of welfare: the welfare state and the life cycle. UK: Prentice Hall. Baldwin, S., & Falkingham, J. (1994). Social security and social change. UK: Prentice Hall. Johnson, P. A., & Falkingham, J. (1992). Ageing and economic welfare. London, UK: SAGE. Evandrou, M., Falkingham, J., Robards, J., & Vlachantoni, A. (2017). The prevalence of informal care and its association with health: Longitudinal research using census data for England and Wales. In J. Stillwell (Ed. ), The Routledge Handbook of Census Resources, Methods and Applications: Unlocking the UK 2011 Census (pp. 294-304). Oxon: Routledge. Evandrou, M., Falkingham, J., & Vlachantoni, A. (2016). The ageing population: implications for health and social care. In Population Change in the United Kingdom (pp. 15-28). London, GB: Rowman and Littlefield. Falkingham, J., & Vlachantoni, A. (2012). Demography. In P. Alcock, M. May, & S. Wright (Eds. ), The Student's Companion to Social Policy, 4th edition. (pp. 145-152). Chichester, GB: Wiley. Vlachantoni, A., & Falkingham, J. (2012). Gender and old-age pension protection in Asia. In Social Protection for Older Persons: Social Pensions in Asia (pp. 120-136). Mandaluyong, PH: Asian Development Bank. Falkingham, J., & Vlachantoni, A. (2012). Social protection for older people in Central Asia and the South Caucasus. In Social Protection for Older Persons: Social Pensions in Asia (pp. 246-278). Mandaluyong, PH: Asian Development Bank. Falkingham, J., & McGowan, T. (2011). Improving the teaching of quantitative methods to undergraduate social scientists. In G. Payne, & M. Williams (Eds. ), Teaching Quantitative Methods: Getting the Basics Right London, GB: SAGE. Falkingham, J., Evandrou, M., & Vlachantoni, A. (2010). Gender, poverty and pensions in the UK. In S. Chant (Ed. ), International Handbook on Gender and Poverty (pp. 232-237). Cheltenham, UK: Edward Elgar. Falkingham, J., & Baschieri, A. (2010). Gender, poverty and transition in central Asia. In S. Chant (Ed. ), International Handbook on Gender and Poverty Cheltenham, UK: Edward Elgar. Zaidi, A., Evandrou, M., Falkingham, J., Johnson, P., & Scott, A. (2009). Employment transitions and earnings dynamics in the SAGE model. In A. Zaidi, A. Harding, & P. Williamson (Eds. ), New Frontiers in Microsimulation Modelling (pp. 351-379). Aldershot, UK: Ashgate. Falkingham, J., & Baschieri, A. (2009). Gender and poverty: how misleading is the unitary model of household resources? In N. Yeates, & C. Holden (Eds. ), The Global Social Policy Reader (pp. 123-128). Bristol, UK: The Policy Press. Evandrou, M., & Falkingham, J. (2009). Pensions and income security in later life. In J. Hills, T. Sefton, & K. Stewart (Eds. ), Towards a More Equal Society? Poverty, Inequality and Policy since 1997 (pp. 157-177). (CASE Studies on Poverty, Place and Policy). Bristol, UK: Policy Press. Rake, K., Falkingham, J., & Zaidi, A. (2008). Income mobility in old age. In A. Zaidi (Ed. ), Well-Being of Older People in Ageing Societies (pp. 151-194). (Public Policy and Social Welfare). Aldershot, UK: Ashgate. Channon, A. R., Matthews, Z., Falkingham, J., & World Health Organization (Accepted/In press). Poverty and sexual and reproductive health: evidence of the relationship. In Social Determinants: Creating an Environment For Sexual and Reproductive Health Geneva, Switzerland: World Health Organisation. McKee, M., & Falkingham, J. (2008). The changing face of transitional societies. In R. Coker, R. Atun, & M. McKee (Eds. ), Health Systems and the Challenge of Communicable Diseases: Experiences from Europe and Latin America (pp. 21-46). Maidenhead, UK: Open University. Evandrou, M., & Falkingham, J. (2007). Demographic change, health and health-risk behaviour across cohorts in Britain: implications for policy modelling. In A. Gupta, & A. Harding (Eds. ), Modelling Our Future: Population Ageing, Health and Aged Care (pp. 59-80). (International Symposia in Economic Theory and Econometrics; No. 16). Kidlington, Oxford: Emerald. Evandrou, M., Falkingham, J., Johnson, P., Scott, A., & Zaidi, A. (2007). The SAGE model: dynamic microsimulation population model for Britain. In A. Gupta, & A. Harding (Eds. ), Modelling Our Future: Population Ageing, Health and Aged Care (pp. 443-446). (International Symposia in Economic Theory and Econometrics; No. 16). Kidlington, UK: Elsevier. Zaidi, A., Rake, K., & Falkingham, J. (2007). Welfare indicators of income experience during old age - evidence from the UK. In B. Marin, & A. Zaidi (Eds. ), Mainstreaming Ageing: Indicators to Monitor Sustainable Progress and Policies (pp. 163-202). Aldershot, UK: Ashgate Publishing. Evandrou, M., & Falkingham, J. (2006). Will the baby-boomers be better off than their parents in retirement? In J. A. Vincent, C. R. Phillipson, & M. Downs (Eds. ), The Futures of Old Age (pp. 90-102). London: SAGE Publications. Evandrou, M., & Falkingham, J. (2005). A secure retirement for all? Older People and New Labour. In J. Hills, & K. Stewart (Eds. ), New Labour, Poverty, Inequality and Exclusion (pp. 167-188). Bristol: Policy Press. Evandrou, M., & Falkingham, J. (2004). Demographic Change in Europe: implications for family support for older people. In P. Kreager, & E. Schroeder-Butterfill (Eds. ), Ageing Without Children: European and Asian Perspectives on Elderly Access to Support Networks (Fertility, Reproduction and Sexuality; Vol. 6). Oxford, UK: Berhahn Books. Falkingham, J. (2004). Inequality and poverty in the CIS-7 countries, 1989-2002. In C. R. Shiells, & S. Sattar (Eds. ), The Low Income Countires of the Commonwealth of Independent States: Progress and Challenges in Transition Washington DC, USA: The International Monetary Fund. Falkingham, J., & Rake, K. (2003). Pensions choices for the 21st century: meeting the challenges of an ageing society. In C. Bochel, N. Ellison, & M. Powell (Eds. ), Social Policy Review 15 (pp. 197-216). Bristol, UK: The Policy Press. Falkingham, J., Rake, K., & Paxton, W. (2002). Modelling pension choices for the 21st century. In R. Brooks, S. Regan, & P. Robinson (Eds. ), A New Contract for Retirement: Modeling Policy Options to 2050 (pp. 35-64). London, UK: Institute for Public Policy Research. Falkingham, J. (2001). From security to uncertainty: the impact of economic change on child welfare in central Asia. In K. Vleminckx, & T. M. Smeeding (Eds. ), Child Well-Being, Child Poverty and Child Policy in Modern Nations (pp. 227-254). Bristol, UK: The Policy Press. Falkingham, J., & Rake, K. (2001). Modelling the gender impact of the British pension reforms. In J. Ginn, D. Street, & S. Arber (Eds. ), Women, Work and Pensions: International Issues and Prospects (pp. 67-85). Buckingham, UK: Open University. Falkingham, J. (2001). Poverty in Central Asia. In Central Asia 2010: Prospects for Human Development (pp. 66-78). Almaty, Kazakhstan: United Nations Development Programme Kazakhstan. Falkingham, J. (2000). Income, poverty and well-being in central Asia. In S. Hutton, & G. Redmond (Eds. ), Poverty in Transition (pp. 70-90). (Routledge Studies of Societies in Transition). London, UK: Routledge. Evandrou, M., & Falkingham, J. (1998). The personal social services. In H. Glennerster, & J. Hills (Eds. ), The State of Welfare: The Economics of Social Spending Oxford, UK: Oxford Uuniversity Press. Falkingham, J., Evandrou, M., Gomez-Leon, M., & Vlachantoni, A. (2018). The dynamics of social care and paid work in mid-life. Paper presented at European Population Conference 2018, Brussels, Belgium. Vlachantoni, A., Evandrou, M., Falkingham, J., & Gomez-Leon, M. (2018). The provision of support towards multiple generations. Paper presented at European Population Conference 2018, Brussels, Belgium. Evandrou, M., Falkingham, J., Qin, M., & Vlachantoni, A. (2017). Children’s migration and chronic illness among older parents ‘left behind’ in China. Paper presented at BSG 2018: The British Society of Gerontology 47th Annual Conference, . Gomez Leon, M., Evandrou, M., Falkingham, J., & Vlachantoni, A. (2017). The dynamics of social care and paid work in mid-life. Poster session presented at British Society of Gerontology conference 2017, Swansea, United Kingdom. Vlachantoni, A., Evandrou, M., Falkingham, J., & Gomez Leon, M. (2017). The provision of support towards multiple generations. Paper presented at British Society of Gerontology conference 2017, Swansea, United Kingdom. Vlachantoni, A., Gomez-Leon, M., Evandrou, M., & Falkingham, J. (2017). The provision of support towards multiple generations. How does the ‘sandwiched’ generation balance help towards their family?. Paper presented at XXVIII IUSSP Conference, South Africa. Gomez Leon, M., Evandrou, M., Falkingham, J., & Vlachantoni, A. (2016). Dynamics of social care and paid work in mid-life. Paper presented at BSG 2016: The British Society of Gerontology 45th Annual Conference, United Kingdom. Evandrou, M., Falkingham, J., Gomez Leon, M., & Vlachantoni, A. (2016). Flows of support: reciprocity between adult children and parents over the life course. Paper presented at Population Association of America 2016 conference, United States. Evandrou, M., Falkingham, J., Gomez Leon, M., & Vlachantoni, A. (2016). Reciprocity between adult children and older parents over the lifecourse. Paper presented at BSG 2016: The British Society of Gerontology 45th Annual Conference, United Kingdom. Evandrou, M., Falkingham, J., Gomez Leon, M., & Vlachantoni, A. (2016). Reciprocity between adult children and older parents over the lifecourse.. Paper presented at European Population Conference 2016, Germany. Gomez Leon, M., Evandrou, M., Falkingham, J., & Vlachantoni, A. (2016). The dynamics of social care and paid work in mid-life. Paper presented at British Society of Population Studies Annual Conference, United Kingdom. Vlachantoni, A., Evandrou, M., Falkingham, J., & Gomez Leon, M. (2016). The provision of support towards multiple generations. How does the ‘sandwiched’ generation balance help towards their family?. Paper presented at European Population Conference 2016, Germany. Bennett, R., Chepngeno-Langat, G., Evandrou, M., & Falkingham, J. (2014). A gendered analysis of protective factors for old age mortality in the Nairobi slums, Kenya. Paper presented at British Society for Population Studies Annual Conference, . Demey, D., Berrington, A., Evandrou, M., & Falkingham, J. (2014). De determinanten van herpartneren op middelbare leeftijd. Paper presented at Dag van de Sociologie, Belgium. Bennett, R., Chepngeno-Langat, G., Evandrou, M., & Falkingham, J. (2014). Resilience in the face of post-election violence in Kenya: the mediating role of social networks on wellbeing among older people in the Korogocho informal settlement, Nairobi. Paper presented at British Society for Gerontology Annual Conference, . Demey, D., Berrington, A., Evandrou, M., & Falkingham, J. (2014). The determinants of repartnering in mid-life in the United Kingdom. Family and Population Studies (FaPOS) Seminar, Belgium. Demey, D., Berrington, A., Evandrou, M., & Falkingham, J. (2014). The determinants of repartnering in mid-life in the United Kingdom. Paper presented at European Population Conference, Hungary. Bennett, R., Falkingham, J., & Hosegood, V. (2014). Understanding children’s involvement in migration & implications for accessing services in rural South Africa. 'Transnational Families: Multi-actor, Multi-sited and Institutional Perspectives’ conference, Netherlands. Vlachantoni, A., Maslovskaya, O., Evandrou, M., & Falkingham, J. (2013). Examining the determinants of moving into residential care and sheltered accommodation. Paper presented at British Society of Gerontology, United Kingdom. Demey, D., Berrington, A., Evandrou, M., & Falkingham, J. (2013). Living alone and psychological health in mid-life: The role of partnership history and parenthood status. Paper presented at XXVII IUSSP International Population Conference, Korea, Republic of. Demey, D., Berrington, A., Evandrou, M., & Falkingham, J. (2013). Living alone and psychological well-being in late mid-life: does partnership history matter?. Paper presented at Understanding Society Research Conference 2013, United Kingdom. Demey, D., Berrington, A., Evandrou, M., & Falkingham, J. (2013). Living alone, partnership history and psychological well-being in mid-life. Paper presented at Society for Longitudinal and Life Course Studies International Conference, Netherlands. Demey, D., Berrington, A., Evandrou, M., & Falkingham, J. (2013). Living alone, partnership history and psychological well-being in mid-life. Poster session presented at British Society for Population Studies (BSPS) Annual Conference, United Kingdom. Vlachantoni, A., Shaw, R., Evandrou, M., & Falkingham, J. (2013). Older people's receipt of social support in England. Paper presented at British Society of Population Studies, . Sage, J., Evandrou, M., & Falkingham, J. (2013). The complex processes of post-student migration and the 'parental safety net'. Paper presented at New Agendas on Youth and Young Adulthood: Youth Studies Conference, United Kingdom. Sage, J., Evandrou, M., & Falkingham, J. (2013). The migration pathways of UK graduates. Centre on Migration, Policy and Society (COMPAS) Migration Breakfast Briefing, United Kingdom. Sage, J., Evandrou, M., & Falkingham, J. (2012). A lifecourse perspective on experiences of parental marital disruption and changing family relations through the use of life narrative and life history calendar methods. Paper presented at Annual meeting of the British Society for Population Studies, United Kingdom. Sage, J., Evandrou, M., & Falkingham, J. (2012). A lifecourse perspective on parental marital disruption and the obligations mid-life ‘adult children’ feel to care for their parents. Paper presented at Third Biennial British-Irish Population Conference, United Kingdom. Demey, D., Berrington, A., Evandrou, M., & Falkingham, J. (2012). Changing living arrangements in mid-life and their implications for policy. Office for National Statistics (ONS) Seminar Series, United Kingdom. Bennett, R., Hosegood, V., & Falkingham, J. (2012). Early years' migration in rural South Africa. Paper presented at British Society for Population Studies Annual Conference, United Kingdom. Vlachantoni, A., Shaw, R., Willis, R., Evandrou, M., Falkingham, J., & Luff, R. (2012). How do we measure unmet need for social care in later life?. Paper presented at 65th Annual Conference of the Gerontological Society of America (2012), . Noble, J., Silverman, E., Bijak, J., Rossiter, S., Evandrou, M., Bullock, S., ... Falkingham, J. (2012). Linked lives: the utility of an agent-based approach to modelling partnership and household formation in the context of social care. In Proceedings of the Winter Simulation Conference 2012 (WSC2012) Berlin, DE: WSC. Demey, D., Berrington, A., Evandrou, M., & Falkingham, J. (2012). Living alone in mid-life: diversity and change. Paper presented at British Society for Population Studies (BSPS) Annual Conference, United Kingdom. Vlachantoni, A., Evandrou, M., & Falkingham, J. (2012). Pensions among older people from ethnic minorities: patterns and prospects. Paper presented at BSG2012: British Society of Gerontology Annual Conference, United Kingdom. Sage, J., Evandrou, M., & Falkingham, J. (2012). The complex processes of post-HE migration and the 'parental safety net'. Young Adults’ Housing and Independent Living: New Insights, United Kingdom. Sage, J., Falkingham, J., & Evandrou, M. (2012). The complex processes of post-student migration and returning to the parental home. Research Seminar, Department of Geography, Loughborough University, United Kingdom. Sage, J., Falkingham, J., & Evandrou, M. (2012). The complex processes of post-student migration and returning to the parental home. Paper presented at Innovative Perspectives on Population Mobility Conference, . Falkingham, J., Demey, D., Berrington, A., & Evandrou, M. (2012). The demography of living alone in mid-life: a typology of solo-living in the United Kingdom. Paper presented at European Population Conference, Sweden. Sage, J., Evandrou, M., & Falkingham, J. (2012). The effects of parental marital disruption on the obligations of mid-life adult children to care. Paper presented at European Population Conference, Sweden. Sage, J., Evandrou, M., & Falkingham, J. (2012). The effects of post-retirement marital disruption on intergenerational exchanges, and the obligations of mid-life adult children to care. Poster session presented at Population Association of America Annual Conference, United States. Sage, J., Falkingham, J., & Evandrou, M. (2012). The patterns and processes of post-student migration in the UK. Paper presented at 2nd International Conference on Geographies of Education, United Kingdom. Evandrou, M., Falkingham, J., Maslovskaya, O., & Vlachantoni, A. (2012). Transitions into sheltered accommodation and residential care in later life: evidence from the British household panel survey (1991-2008). Paper presented at European Association of Population Studies: Gender, Policies and Population, Sweden. Evandrou, M., Falkingham, J., Maslovskaya, O., & Vlachantoni, A. (2012). What determines an older person’s move into sheltered accommodation and residential care?. Poster session presented at Annual Conference of the Gerontological Society of America, . Vlachantoni, A., Shaw, R., Evandrou, M., & Falkingham, J. (2012). What determines the receipt of formal paid, formal state or informal social support in later life?. Poster session presented at Annual Conference of the Gerontological Society of America, . Vlachantoni, A., Shaw, R., Willis, R., Evandrou, M., Falkingham, J., & Luff, R. (2011). Investigating unmet need for social care amongst older people. Paper presented at British Society of Gerontology Annual Conference, United Kingdom. Demey, D., Berrington, A., Evandrou, M., & Falkingham, J. (2011). The changing demography of mid-life, from the 1980s to the 2000s. Paper presented at BSPS Conference 2011, United Kingdom. Shaw, R., Evandrou, M., Falkingham, J., & Vlachantoni, A. (2011). The determinants of receipt of social care: evidence from the English Longitudinal Study of Ageing. Paper presented at British Society of Gerontology Annual Conference, United Kingdom. Evandrou, M., Falkingham, J., Maslovskaya, O., & Vlachantoni, A. (2011). Transitions into residential care in later life: evidence from the British Household Panel Survey, 1991-2009. Paper presented at British Society of Population Studies, United Kingdom. Falkingham, J., Baschieri, A., Evandrou, M., & Grant, G. (2010). Left behind in transition? The well-being of older people in Tajikistan. In J. Collett, J. Frank, E. Johns, B. Marin, & P. Vanhuysse (Eds. ), Reinventing Retirement: Reshaping Health and Financial Security for the EU27 and Eastern Europe Aldershot, UK: Ashgate. Baschieri, A., & Falkingham, J. (2006). Non-income dimensions of child poverty in the CIS and South Eastern Europe. Paper presented at European governments who signed up to the ‘World Fit for Children’, . Falkingham, J. (2018). Intentions and outcomes of graduating international students. (ESRC Centre For Population Change Briefing Papers; No. 43). Southampton: University of Southampton. Falkingham, J., Evandrou, M., Vlachantoni, A., & Qin, M. (2018). Tackling chronic disease among 'left-behind' older people in India and China. (ESRC Centre for Population Change Briefing; No. 42). Southampton: Centre for Population Change. Falkingham, J., & McGowan, T. (Ed.) (2016). The changing meaning of old age. (ESRC Centre for Population Change Briefing Papers; No. 31). Southampton, GB: ESRC Centre for Population Change. Evandrou, M., Falkingham, J., Gomez Leon, M., Robards, J., & Vlachantoni, A. (2015). Need to know review number five: local government and the demography of ageing. Southampton, GB: Local Government Association. Demey, D., Berrington, A., Evandrou, M., & Falkingham, J. (2012). Changing experiences of mid-life. (UK Data Service Case Study). UK Data Service. Stone, J., Berrington, A., Falkingham, J., & McGowan, T. (Ed.) (2012). The changing living arrangements of young adults in the UK. (ESRC Centre for Population Change Briefing Papers; No. 7). Southampton, GB: ESRC Centre for Population Change. Sage, J., Evandrou, M., Falkingham, J., & McGowan, T. (Ed.) (2012). The complex migration pathways of UK graduates. (ESRC Centre for Population Change Briefing Papers; No. 9). Southampton, GB: ESRC Centre for Population Change. Demey, D., Berrington, A., Evandrou, M., Falkingham, J., & McGowan, T. (Ed.) (2011). How has mid-life changed in Britain since the 1980s? (ESRC Centre for Population Change Briefing Papers; No. 2). Southampton, GB: ESRC Centre for Population Change. Vlachantoni, A., Shaw, R., Willis, R., Evandrou, M., Falkingham, J., Luff, R., & McGowan, T. (Ed.) (2011). Measuring unmet need for social care among older people. (Centre for Population Change Briefing Paper; No. 3). Southampton, GB: ESRC Centre for Population Change. Falkingham, J., Evandrou, M., McGowan, T., Bell, D., & Bowes, A. (2010). Demographic issues, projections and trends: older people with high support needs in the UK. (JRF Programme Paper: a Better Life). Southampton, GB: Joseph Rowntree Foundation. Baschieri, A., & Falkingham, J. (2007). Child Poverty in Tajikistan. United Nations Children's Fund (UNICEF). Falkingham, J., Akkazieva, B., & Baschieri, A. (2007). Health, health seeking behaviour and out of pocket expenditures in Kyrgyzstan, 2007. (World Health Organization/Centre for Health Systems Development Policy Research Paper; No. 46). Bishek, Kyrgystan: WHO/Kyrgystan Health Policy Analysis Unit. Falkingham, J., & Grundy, E. (2006). Demographic aspects of population ageing. (ESRC Seminar series: Mapping the Public Policy Landscape). London, UK: ESRC. Baschieri, A., Falkingham, J., & Grant, G. (2005). Are the poor missing out in the achievement of the MDGs? Report to Reaching the Very Poorest Team. London, GB: Department for International Development. Falkingham, J. (2001). Health, health seeking behaviour and out of pocket expenditures in Kyrgyzstan 2001. London, GB: Department for International Development. Falkingham, J. (2000). Women and gender relations in Tajikistan. Manila, The Philippines: Asian Development Bank. Falkingham, J., Giulietti, C., Wahba, J., & Wang, C. (2018). The impact of Brexit on international students' return intentions. (ESRC Centre for Population Change - Working Paper ; No. 90). University of Southampton. Evandrou, M., Falkingham, J., Robards, J., Vlachantoni, A., & McGowan, T. (Ed.) (2015). Who cares? Continuity and change in the prevalence of caring, and characteristics of informal carers, in England and Wales 2001-2011. (ESRC Centre for Population Change Working Papers; No. 68). Southampton: ESRC Centre for Population Change. Falkingham, J., Evandrou, M., Vlachantoni, A., & McGowan, T. (Ed.) (2014). Exploring the link between demographic change and poverty in the UK. (ESRC Centre for Population Change Working Paper; No. 54). Southampton, GB: University of Southampton. Berrington, A., Stone, J., Falkingham, J., & McGowan, T. (Ed.) (2013). The impact of parental characteristics and contextual effects on returns to the parental home in Britain. (ESRC Centre for Population Change Working Paper Series; No. 29). Southampton, GB: ESRC Centre for Population Change. Shaw, R. J., Vlachantoni, A., Evandrou, M., & Falkingham, J. (2012). Disablement in later life: moving beyond health determinants? (Care Life Cycle Discussion Papers; No. 1). Southampton, GB: University of Southampton. Gething, P. W., Amoako Johnson, F., Frempong-Ainguah, F., Nyarko, P., Baschieri, A., Aboagye, P., ... ESRC Centre for Population Change (2012). Geographical access to care at birth in Ghana: a barrier to safe motherhood. (Centre for Population Change Working Paper; No. 21). Southampton, GB: University of Southampton. Falkingham, J., Evandrou, M., & Lyons-Amos, M. (2012). Inequalities in child and maternal health outcomes in CEE and the CIS. (ESRC Centre for Population Change Working Paper Series; No. 24). ESRC Centre for Population Change. Vlachantoni, A., & Falkingham, J. (2011). Exploring gender and pensions in Japan, Malaysia and Vietnam. (Centre for Research on Ageing Discussion Papers; No. 1101). Southampton, GB: University of Southampton. Berrington, A., Stone, J., Falkingham, J., & Mcgowan, T. (Ed.) (2010). How far have transitions to adulthood changed in the last decade? Evidence from the United Kingdom Labour Force Survey. (ESRC Centre for Population Change Working Paper; No. 5). Southampton, GB: ESRC Centre for Population Change. Falkingham, J., & Vlachantoni, A. (2010). Pensions and social protection in central Asia and south Caucasus: developments in the post-Soviet era. (Centre for Research on Ageing Discussion Papers; No. 1002). Southampton, GB: University of Southampton. Falkingham, J., Baschieri, A., Evandrou, M., & Grant, G. (2009). Left behind in transition? The well-being of older people in Tajikistan. (Centre for Research on Ageing Discussion Paper; No. 901). Southampton, GB: Centre for Research on Ageing. Grant, G., Falkingham, J., & Evandrou, M. (2009). The impact of adult children’s migration on wellbeing in later life: voices from Moldova. (CRA Discussion Paper; No. 902). Southampton, GB: Centre for Research on Ageing. Sefton, T., Falkingham, J., & Evandrou, M. (2009). The relationship between women’s work histories and incomes in later life in the UK, US and West Germany. (CASE; No. 137). London, GB: Centre for Analysis of Social Exclusion, London School or Economics. Sefton, T., Falkingham, J., & Evandrou, M. (2009). The relationship between women’s work histories and incomes in later life in the UK, US and West Germany. (Centre for Research on Ageing Discussion Paper; No. 706). Southampton, UK: University of Southampton. Evandrou, M., Falkingham, J., & Sefton, T. (2009). Women’s family histories and incomes in later life in the UK, US and West Germany. (Centre for the Analysis of Social Exclusion Discussion Paper; No. 138). London, UK: London School of Economics. Sefton, T., Evandrou, M., & Falkingham, J. (2008). Family ties: women’s work and family histories and their association with incomes in later life in the UK. (Centre for Research on Ageing Discussion Paper; No. 705). Southampton, UK: University of Southampton. Sefton, T., Evandrou, M., & Falkingham, J. (2008). Family ties: Women’s work and family histories and their association with incomes in later life in the UK. (CASE; No. 135). London, GB: Centre for Analysis of Social Exclusion, London School of Economics. Sefton, T., Evandrou, M., & Falkingham, J. (2006). Mapping the incomes of older people in the UK, US and Germany. (Centre for Research on Ageing Discussion Paper; No. 7003). Southampton, GB: Centre for Research on Ageing. Baschieri, A., & Falkingham, J. (2006). Staying in school: assessing the role of access, availability and cost. (S3RI Applications & Policy Working Papers; No. A07/02). Southampton, UK: Southampton Statistical Sciences Research Institute. Falkingham, J., & Klytchnikova, I. (2006). The Profile of Poverty in Tajikistan: an update 1999 to 2003. (S3RI Methodology Working Papers; No. A06/02). Southampton, UK: Southampton Statistical Sciences Research Institute. Falkingham, J., Baschieri, A., Hornby, D., & Hutton, C. (2005). Creating a poverty map for Azerbaijan. (Policy, Research Working Paper; No. WPS 3793). Washington, US: The World Bank. Baschieri, A., & Falkingham, J. (2005). Developing a poverty map of Tajikistan: a technical note. (S3RI Applications and Policy Working Papers; No. A05/11). Southampton, UK: Southampton Statistical Sciences Research Institute. Falkingham, J., & Baschieri, A. (2005). Gender and poverty: how we can be misled by the unitary model of household resources – the case of Tajikistan. (S3RI Applications and Policy Working Papers; No. A04/21). Southampton, UK: Southampton Statistical Sciences Research Institute. Sefton, T., Evandrou, M., & Falkingham, J. (2005). The material well-being of older people in the UK in comparative perspective: a review of the literature. (Centre for Research on Ageing Discussion Paper; No. 7003). Southampton, GB: Centre for Research on Ageing. Falkingham, J., & Ibragimova, S. (2004). Children in transition: child poverty in The Kyrgyz Republic. (S3RI Applications and Policy Working Papers; No. A04/19). Southampton, UK: Southampton Statistical Sciences Research Institute. Baschieri, A., & Falkingham, J. (2004). Creating a poverty map for Azerbaijan. (S3RI Applications and Policy Working Papers; No. A04/12). Southampton, GB: Southampton Statistical Sciences Research Institute. Falkingham, J., & Baschieri, A. (2004). Gender differentials in Tajikistan: a gendered analysis of the 2003 Tajikistan Living Standards Measurement Survey. (S3RI Applications and Policy Working Papers; No. A04/20). Southampton, UK: Southampton Statistical Sciences Research Institute. Falkingham, J. (2003). Inequality and poverty in the CIS-7, 1989-2002. (S3RI Applications and Policy Working Papers; No. A03/02). Southampton, UK: Southampton Statistical Sciences Research Institute. Falkingham, J. (2003). Poverty and access to maternal health care in Tajikistan. (S3RI Applications and Policy Working Papers; No. A03/09). Southampton, UK: Southampton Statistical Sciences Research Institute. Evandrou, M., Falkingham, J., Johnson, P., Scott, A., & Zaidi, A. (2003). Simplicity, Security and Choice: a response to the Green Paper on Pensions by the ESRC-SAGE Research Group. (ESRC SAGE Research Group Discussion Papers; No. 13). London, UK: London School of Economics. Falkingham, J., & Rake, K. (2001). British pension reform and the pension credit: a response to the pension credit consultation document. (ESRC SAGE Research Group Discussion Papers; No. 6). London, UK: London School of Economics. Scott, A., Evandrou, M., Falkingham, J., & Rake, K. (2001). Going Into residential care: evidence from the BHPS 1991-1998. (ESRC SAGE Research Group Discussion Papers; No. 5). London School of Economics. Zaidi, A., Rake, K., & Falkingham, J. (2001). Income mobility in later life. (ESRC SAGE Research Group Discussion Papers; No. 3). London, UK: London School of Economics. Evandrou, M., Falkingham, J., Johnson, P., & Rake, K. (2001). SAGE: simulating social policy in an ageing society. (ESRC SAGE Research Group Discussion Papers). London, GB: London School of Economics. Evandrou, M., Falkingham, J., Rake, K., & Scott, A. (2001). The dynamics of living arrangements in later life: preliminary findings. (ESRC SAGE Research Group Discussion Papers; No. 4). London, UK: London School of Economics. Falkingham, J. (2000). A profile of poverty in Tajikistan. (ESRC Centre for the Analysis of Social Exclusion Discussion Paper; No. 39). London School of Economics. Agulnik, P., Bar, N., Falkingham, J., & Rake, K. (1999). Partnership in pensions: responses to the pensions Green Paper. (CASE Papers; No. 24). London, UK: London School of Economics. Evans, M., Rake, K., & Falkingham, J. (1999). Tightropes and tripwires: New Labour's proposals and means-testing in old age. (CASE Papers; No. 23). London, UK: London School of Economics. Falkingham, J. (1999). Welfare in transition: trends in poverty and well-being in Central Asia. (CASE Papers; No. 20). London, UK: London School of Economics.